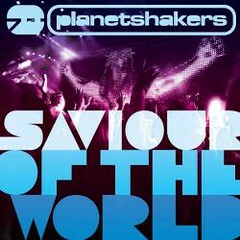 If you have heard of the song HEALER by Planet Shakers, you will know how powerful this song is. The song is written by Mike Guglielmucci who’ s also believing God for a healing in his own life. The song begins with an incredible statement of Faith – I BELIEVE YOU’RE MY HEALER … and when the song moves to the bridge, i simply love the part of the song that claims NOTHING IS IMPOSSIBLE FOR YOU!! Absolutely amazing and anointed and a powerful song! By FAITH, I sing it over Nathanael’s life. Believing for God’s supernatural touch on Nathanael. If you’re also going thru a similiar struggle in your family, i urge you to put your hope and trust in God, and trust in HIM! Did you enjoy this post? Why not leave a comment below and continue the conversation, or subscribe to my feed and get articles like this delivered automatically each day to your feed reader. Really, it’s not even a very good song, let alone a “great” one. The music isn’t very original. There are millions of songs out there better than this one. And you could probably write your own song in a few minutes that’s better than “Healer”. Why go to a song that was a deception to begin with? But really, there are loads of better songs out there. Mike’s sin is no greater than the sin in our own lives. No sin is greater than another. I believe the cry of his heart was to be healed from his sin. This song has majorly impacted my life its amazing! The song says “I” believe and not “Mike Guglielmucci ” believes. I heard the song before learning the story and reading its lyrics i was moved and felt it was a cry from my very own heart. Faith is about you and God, and that is what this song is about. Quite simply, i dont care who is terminally ill and who is not, the bottom line is that our God is a God who heals! And I am grateful to anyone who reminds me of that. If you like the content of this website and are looking for a way to be notified of new content, look no further. Just click the orange icon to your right and subscribe using your favorite feed reader. Our Miracle Boy turns 12!